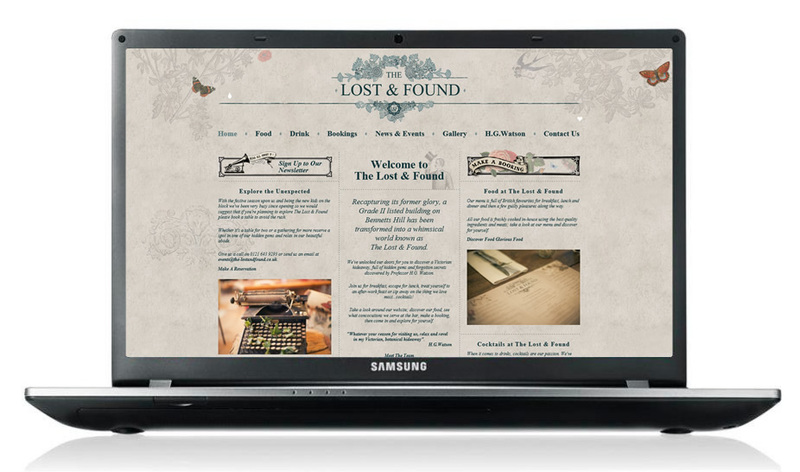 The site was created to promote a bar and restaurant in Birmingham called The Lost & Found and heavily features a character called Professor Hettie G. Watson who is the unofficial mascot of the Bar. I started with Drupal 7 to create the CMS and used the blocks system for most of the content. The Theme created from the design uses bespoke CSS3 and jQuery to design the site and make it work. I've also used colorBox to create the "popups" and styles these to fit in with the site. The site also features media query in the CSS to make the site mobile and tablet PC friendly. This site is also completed completely in HTML5 so uses the shiv to make the new HTML5 sections work in older browsers. 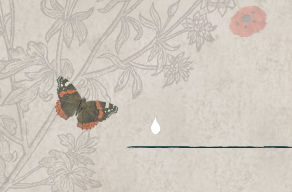 There are also a few nice touches using flash around the site just to bring it to life, for example the butterflies wings flutter and a gentleman raises his hat. This animation was created from the Arm & Eye design by Tadporn of Fish Eyes design. All in all the design is beautiful and user friendly all in one, I think it's my favorite of 2012. Recapturing its former glory, a Grade II listed building on Bennetts Hill has been transformed into a whimsical world known as The Lost & Found. We've unlocked our doors for you to discover a Victorian hideaway, full of hidden gems and forgotton secrets discovered by Professor H.G. Watson. I'm curious - why make a responsive site that uses Flash, a technology not visible to 2 of the major platforms and is rapidly dissapearing on the others!? You're right, Flash is on the decrease and not used on most mobile devices, but that still leaves Android, Windows Desktop, Linux, Unix,, Mac Desktop, etc, etc. So, as long as Flash is used to add a "bit of sparkle" to a site, no content is added in Flash and the Flash content degrades gracefully (in this case, if there is no Flash player installed then no content is shown) there is no reason not to use it. This goes for anything on the web really (and has always been true). You shouldn't penalise the user because of hardware or software choices, but you can reward users for having software or hardware that can take advantage of tec (graceful degradation). When we take into account there is no way for an animator to pick up a simple piece of software and create vector animations (that I know of and at the time the site was created) we still have Flash as the best option to add that last polish to a design.